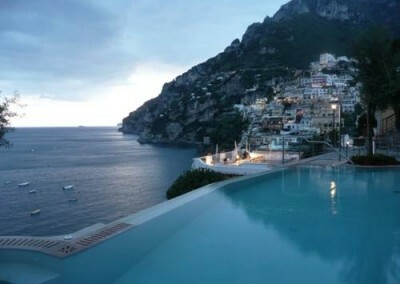 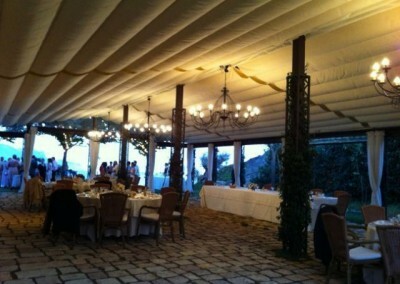 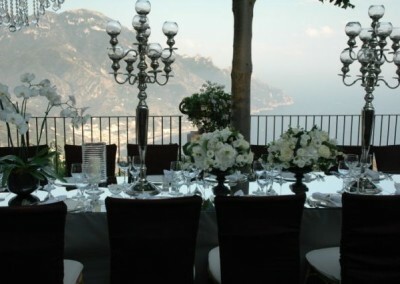 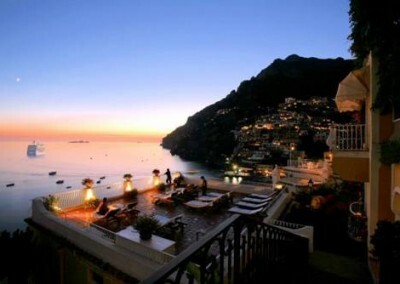 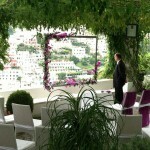 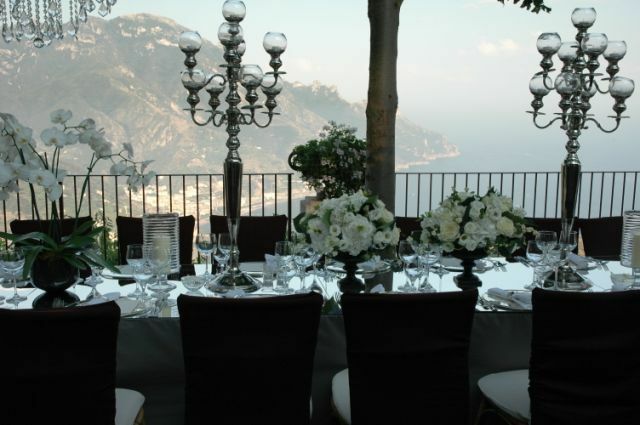 Beautiful wedding reception overlooking the Amalfi Coast! 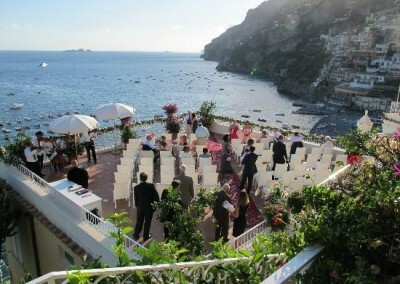 An intimate wedding venue overlooking the cliffs of Sorrento, Italy. 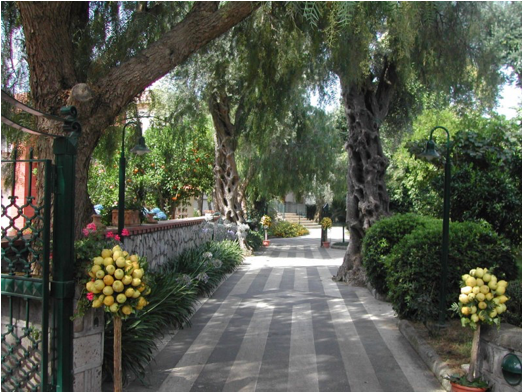 Located 5 minutes driving (and 15 walking) from the city centre. 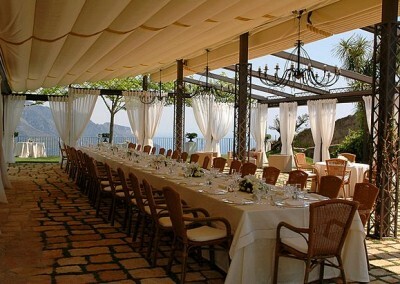 It can host weddings up to 120 guests. 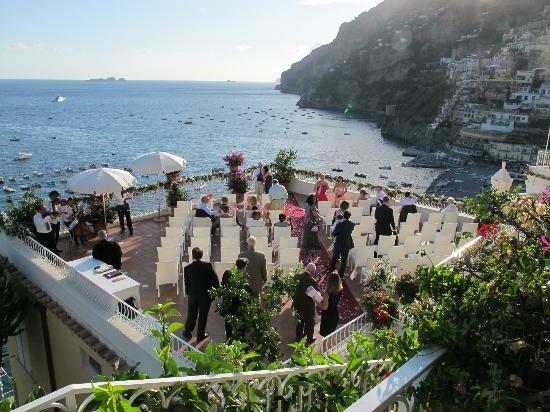 You can have a Civil wedding ceremony outdoors at the beautiful Cloisters in Sorrento or a Catholic Wedding Ceremony at an historic church. 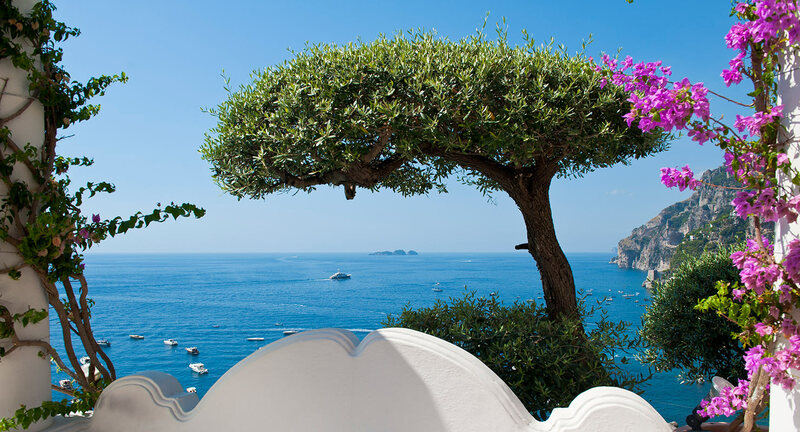 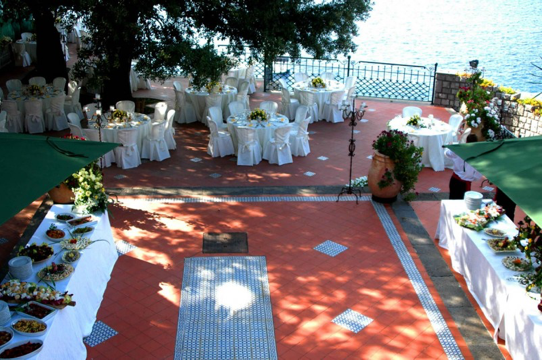 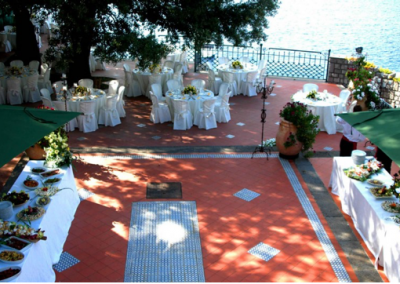 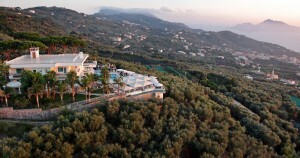 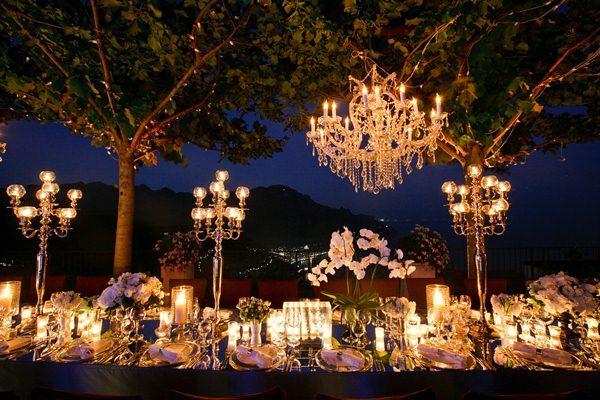 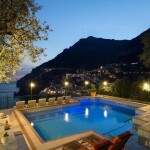 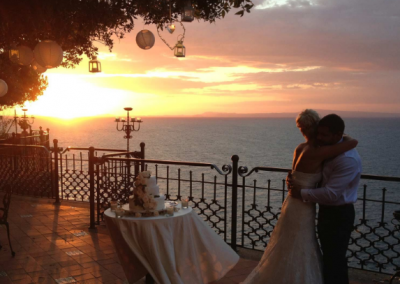 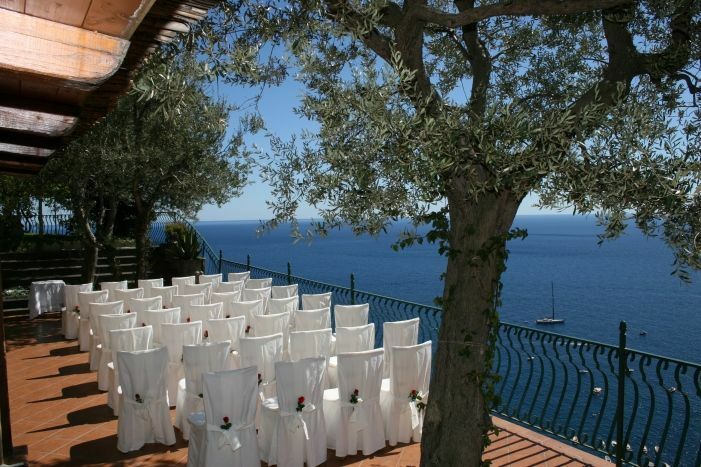 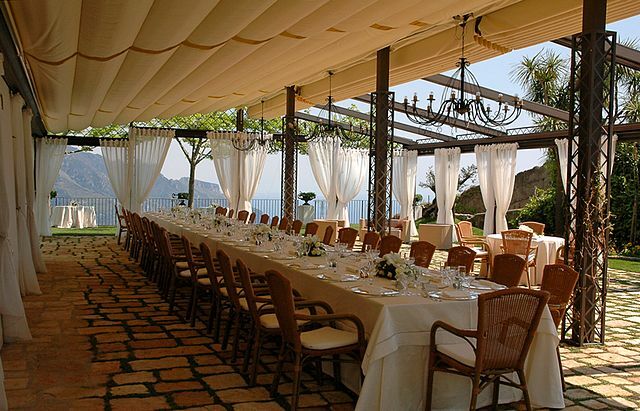 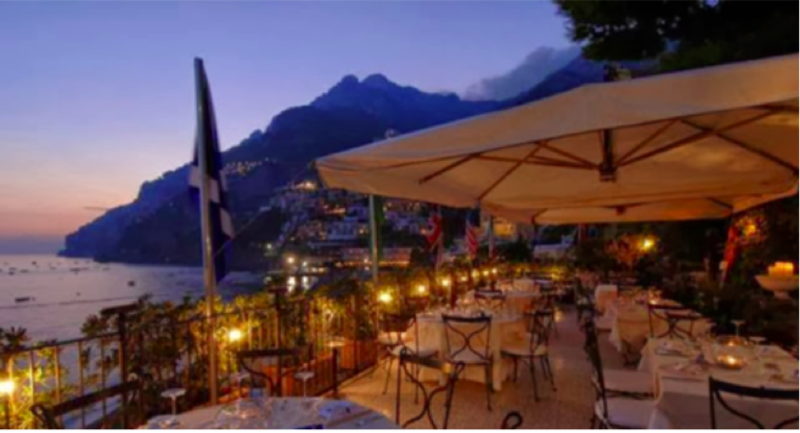 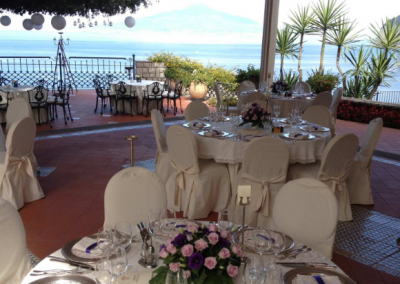 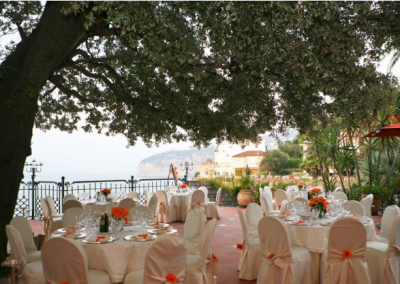 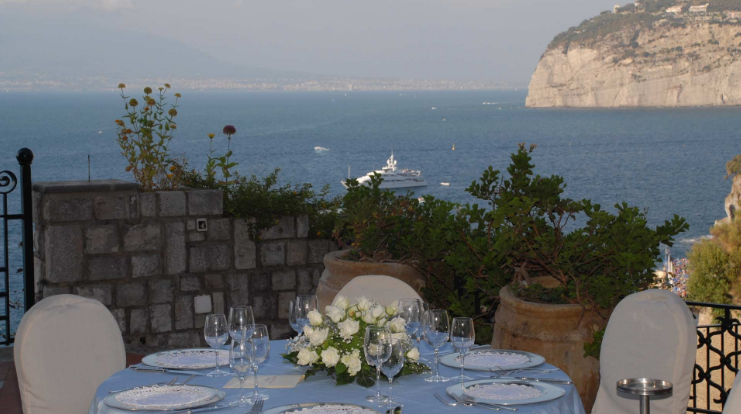 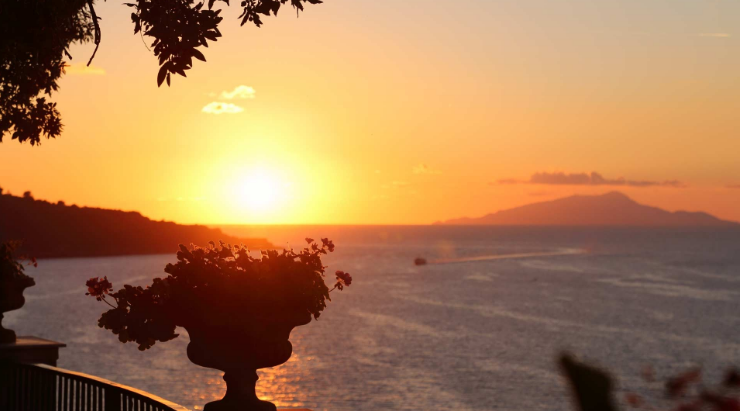 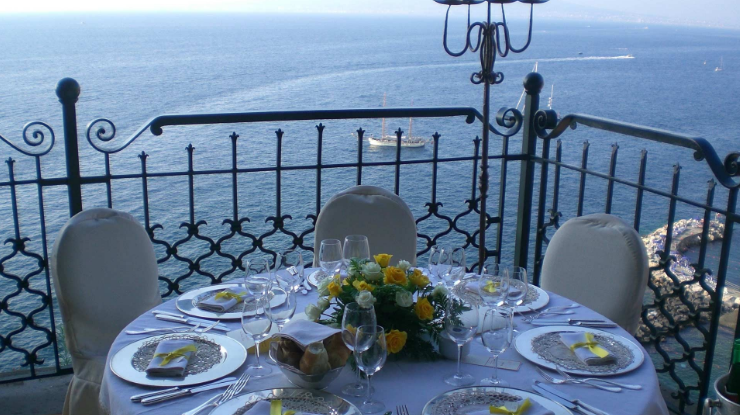 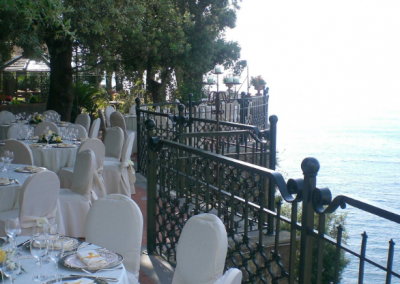 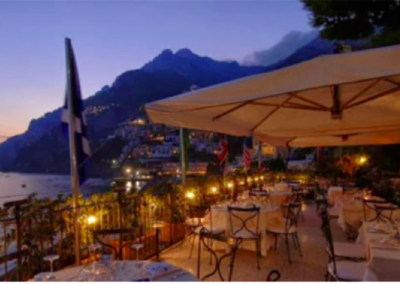 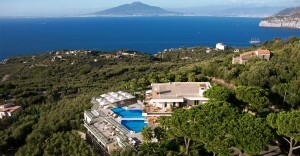 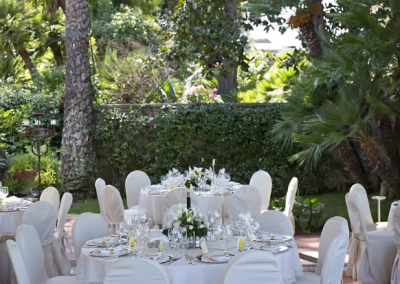 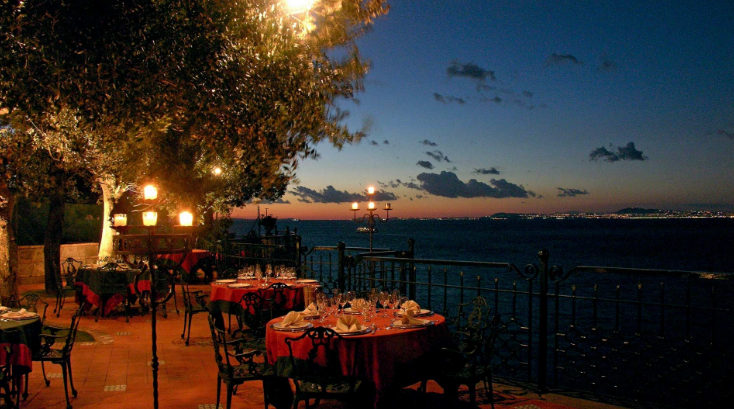 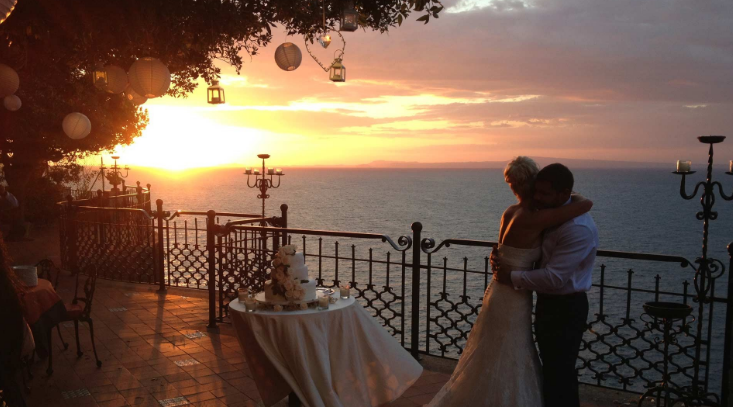 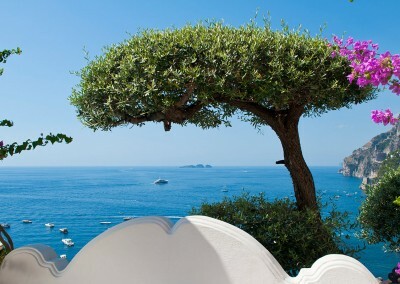 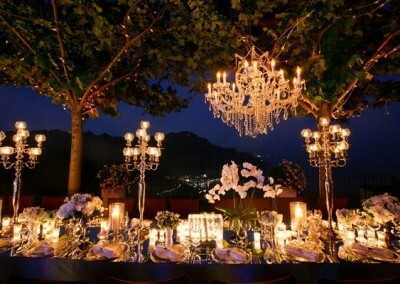 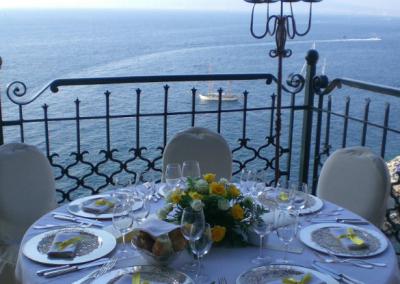 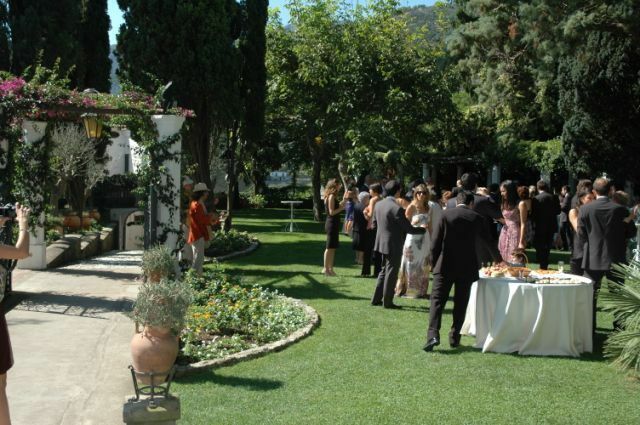 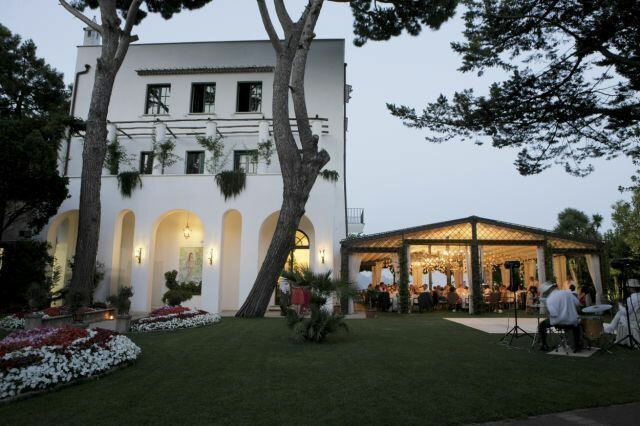 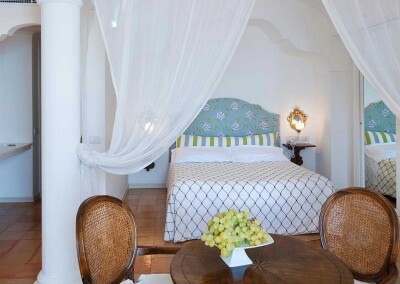 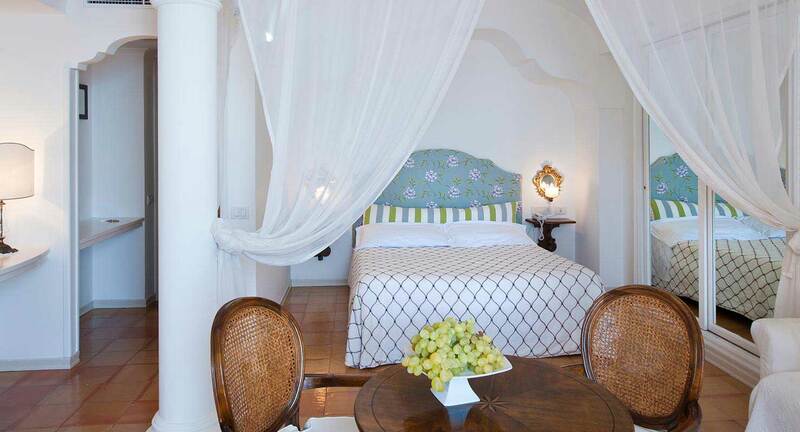 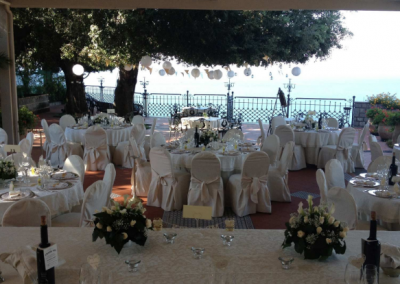 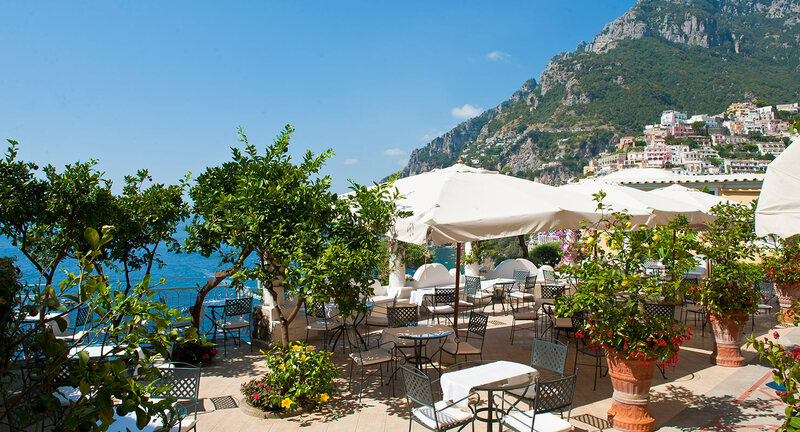 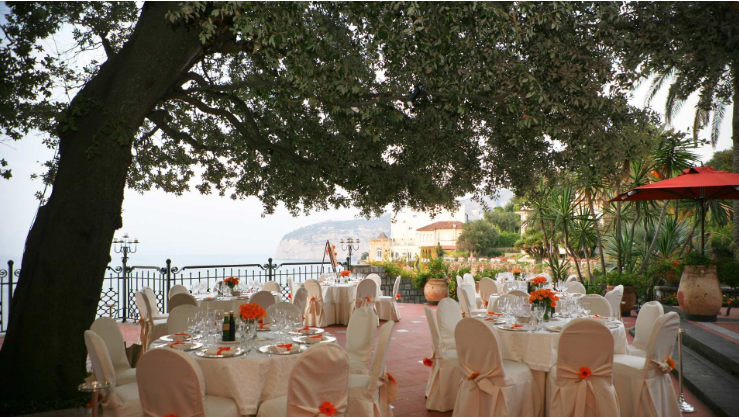 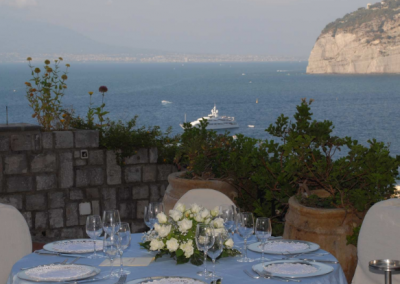 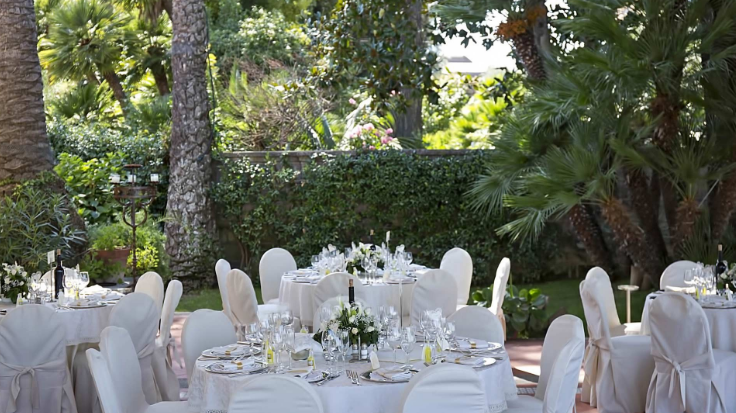 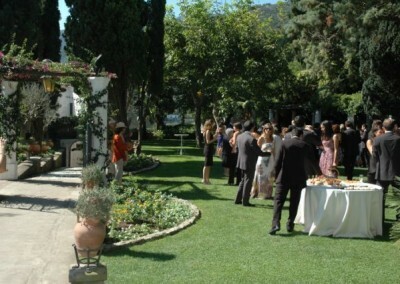 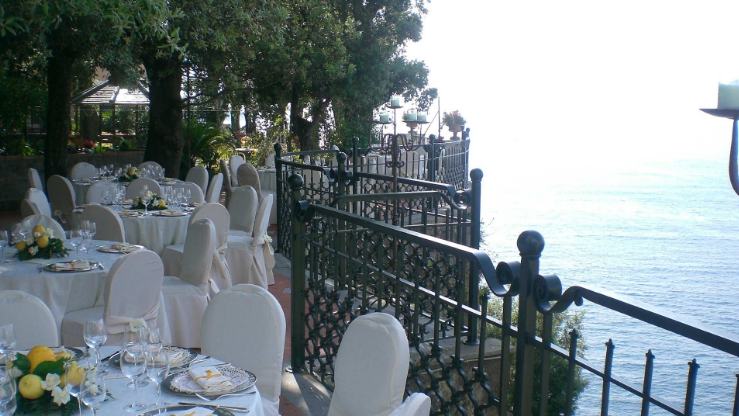 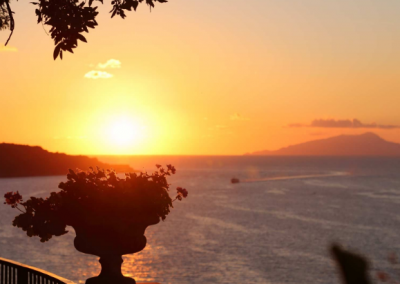 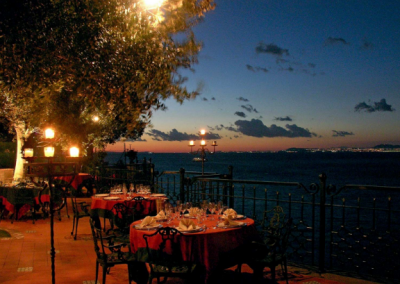 For a sample wedding plans for 30 guests at this amazing wedding venue in Sorrento click here. 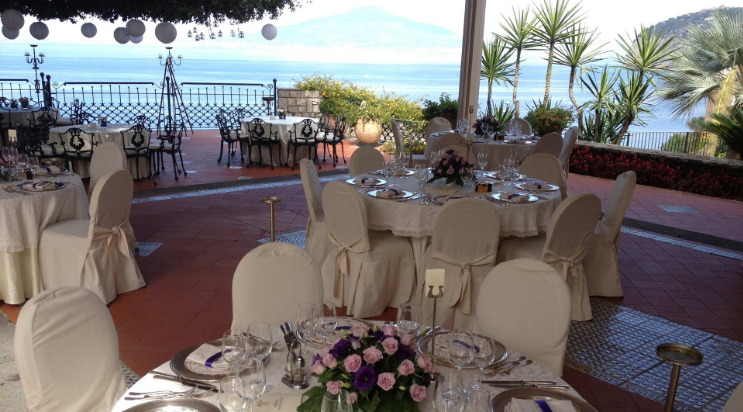 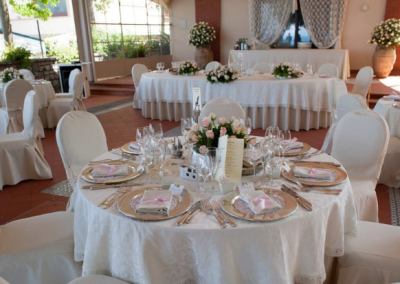 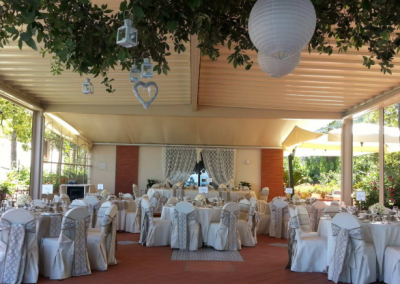 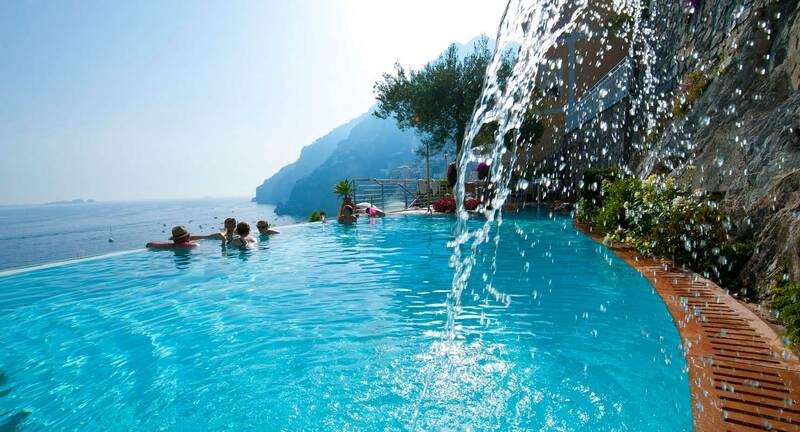 For a sample wedding plans for 60 guests at this amazing wedding venue in Sorrento click here. 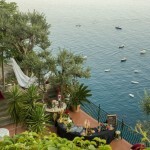 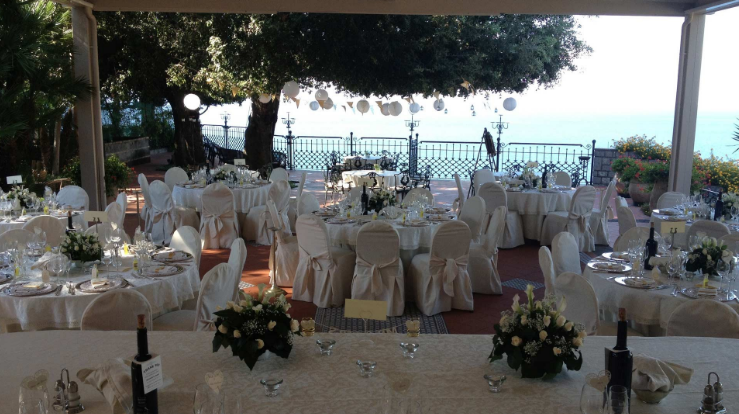 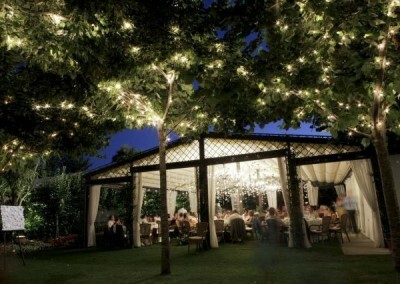 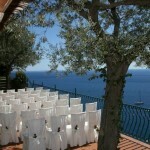 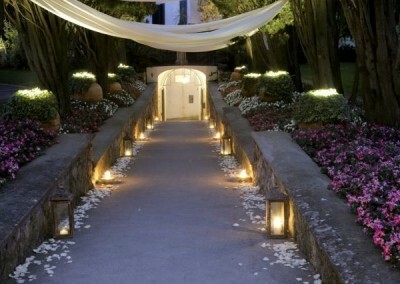 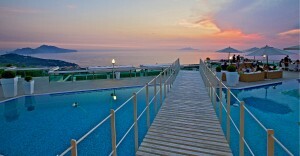 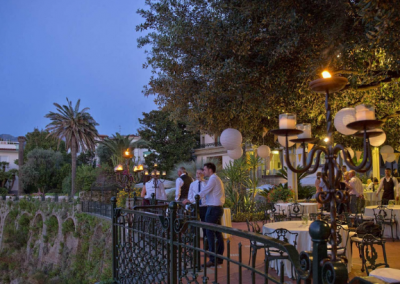 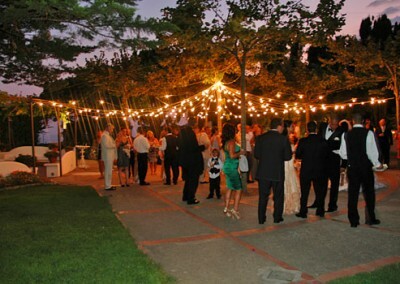 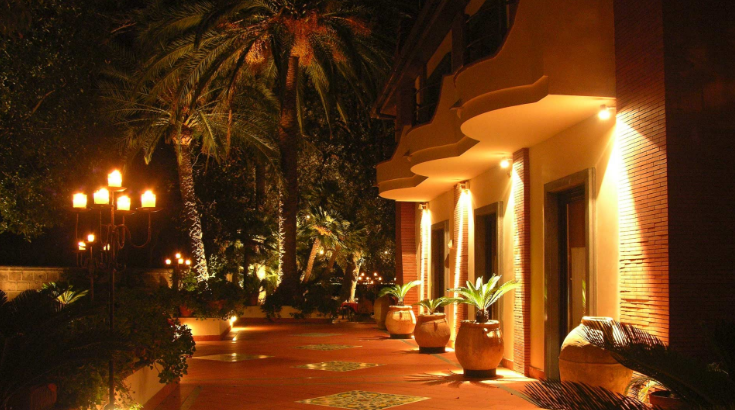 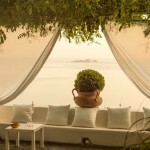 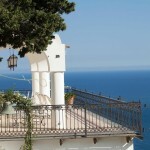 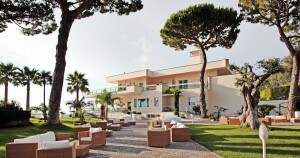 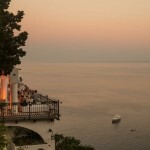 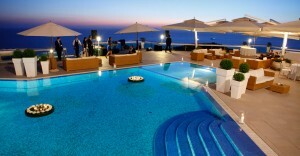 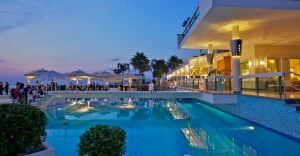 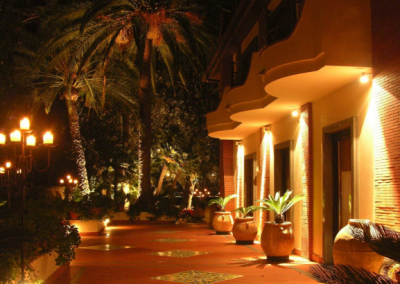 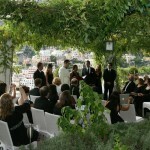 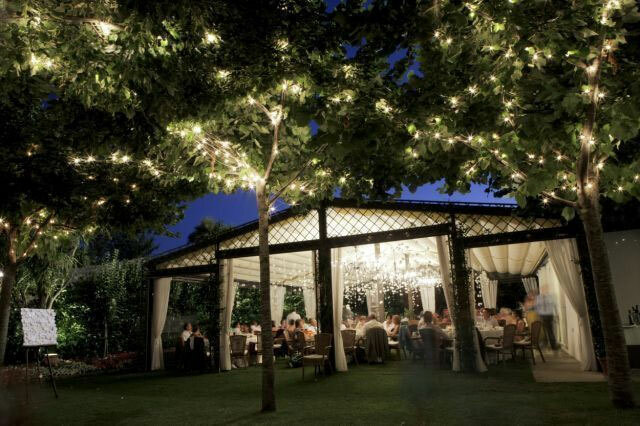 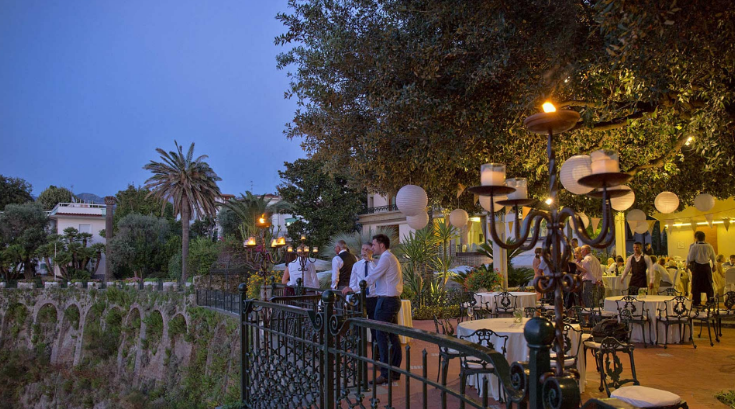 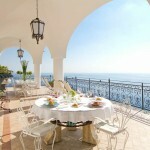 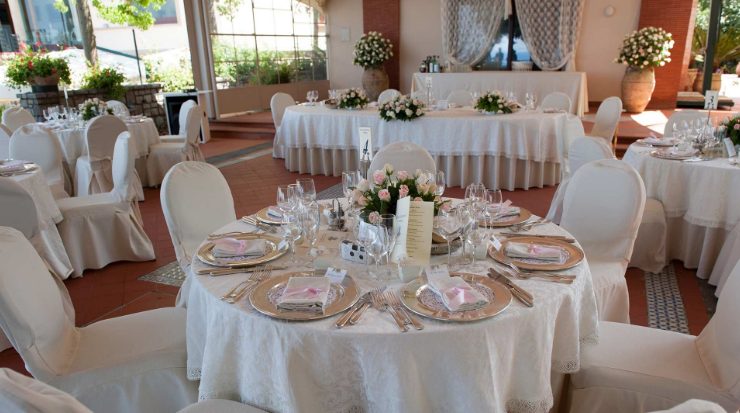 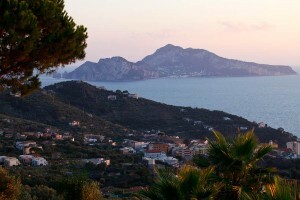 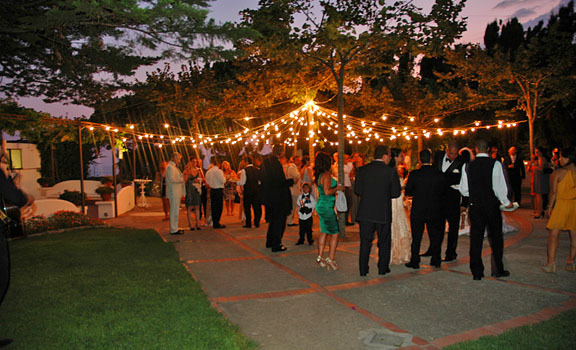 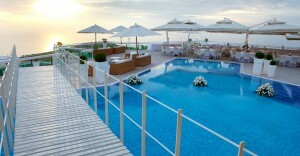 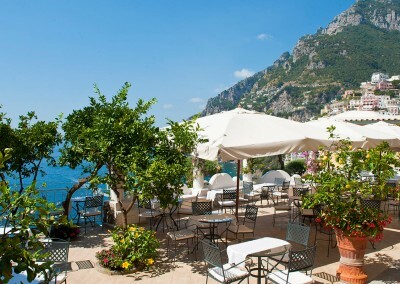 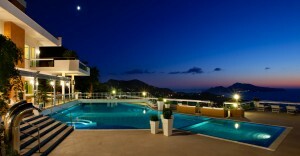 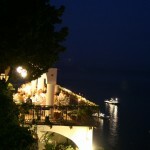 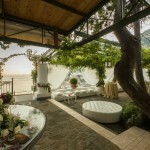 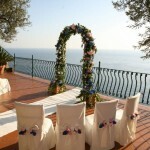 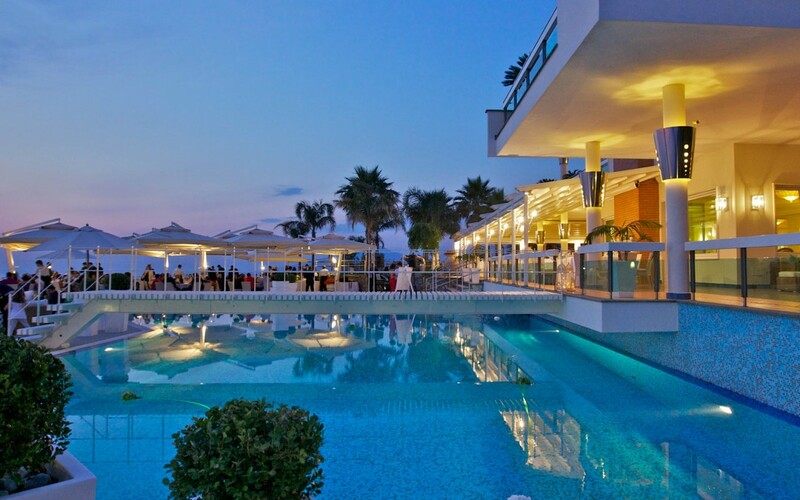 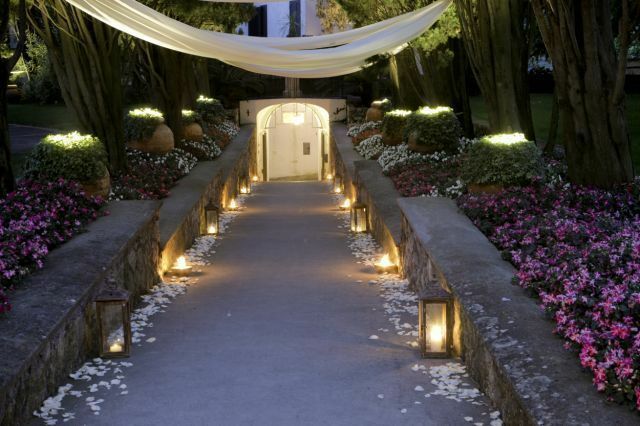 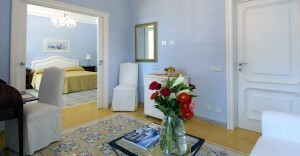 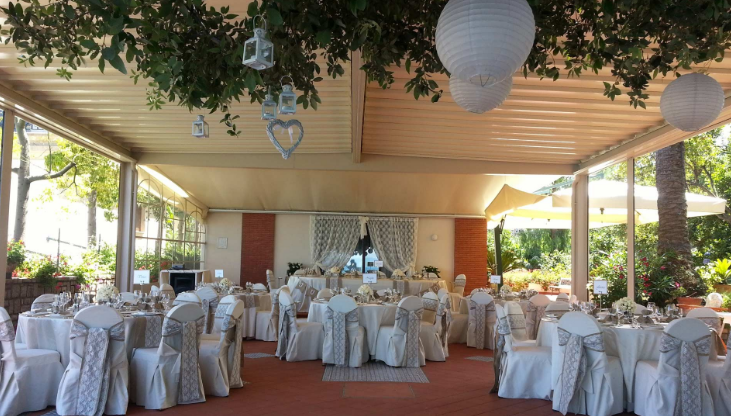 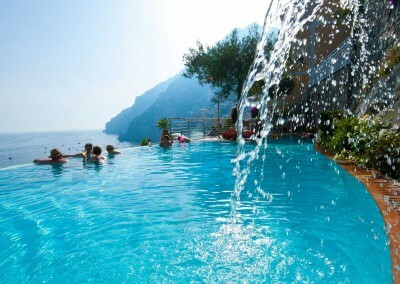 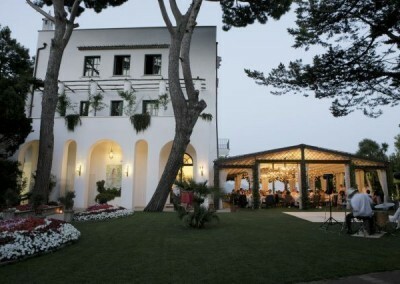 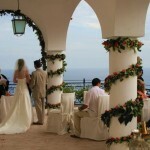 For a sample wedding plans for 100 guests at this amazing wedding venue in Sorrento click here.